That has been a question in our house for some months. 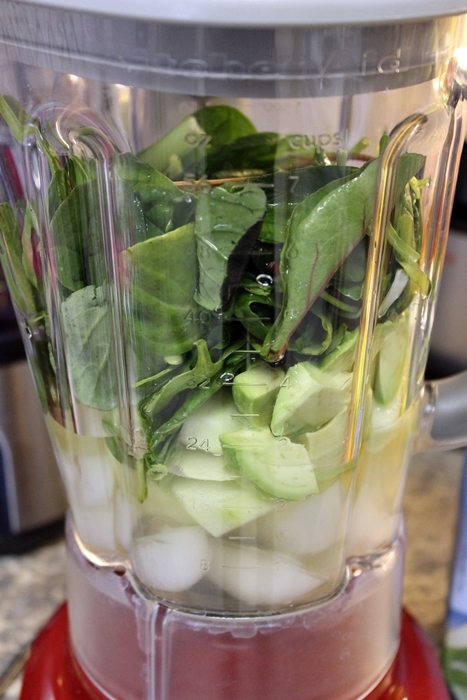 Our blender makes very yummy green smoothies we enjoy for breakfast regularly. But we haven’t ventured very far into the realm of smoothie and juice drinks yet. We want to but we just aren’t quite there yet. 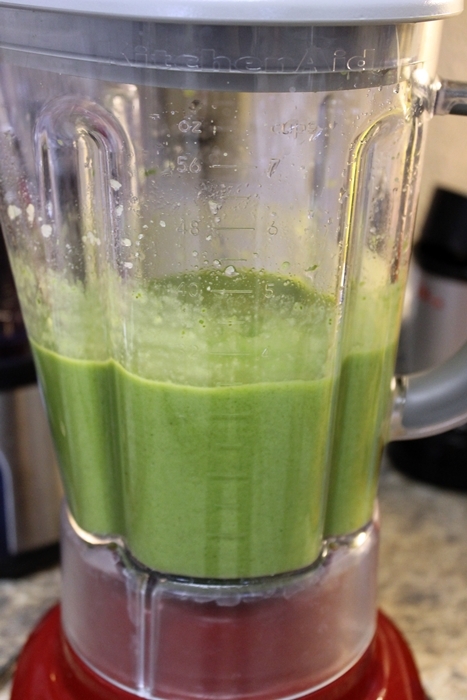 In an effort to step up our juicing game, I did try two new green smoothie recipes this past week. One was pretty good…Creamy Green Apple Smoothie courtesy of Juli at paleOMG. It was lighter and crisper than our usual mix above. The second attempt at a new combination bombed horribly. 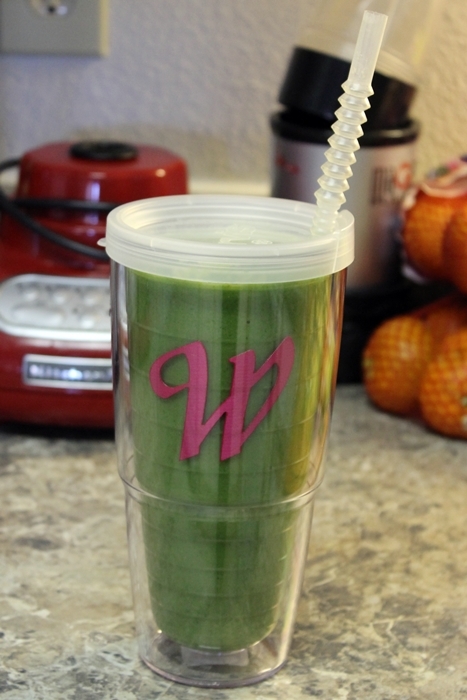 This would not convince anyone that green smoothies are yummy despite their green coloring. I do not suggest you try it. We almost threw it out but then decided to choke it down rather than waste the food. The cocoa powder just made it too bitter. It arrived last night. 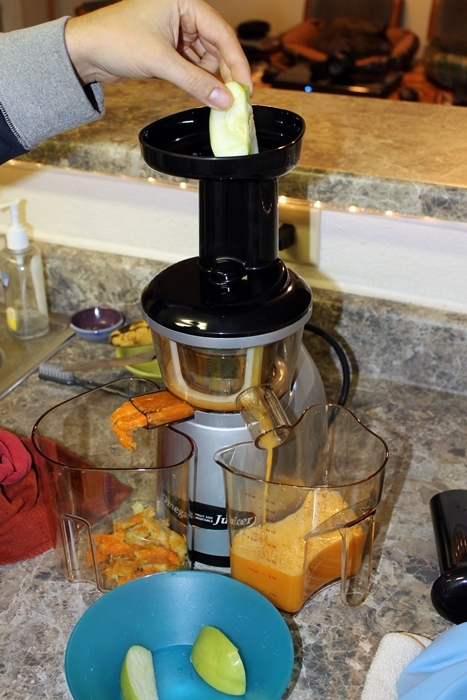 We ran some oranges and apples through it right away, just to play with our new toy. I am so impressed with how quiet it is. It makes about 1/10 of the noise that the blender makes. 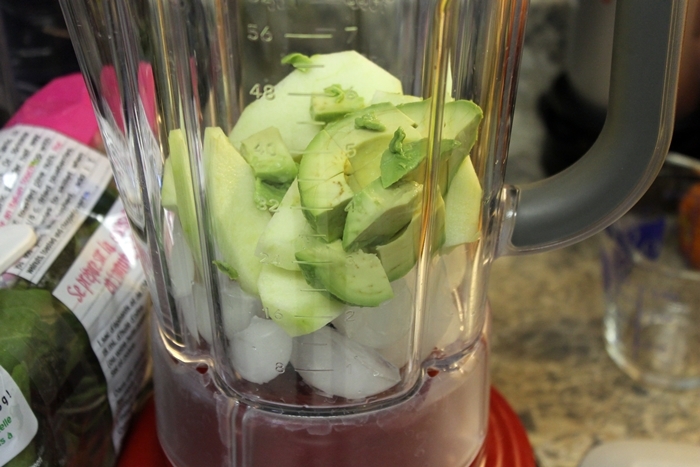 The blender sounds like a jet engine taking off and lasting for a good 5 minutes. Often at 6 am. 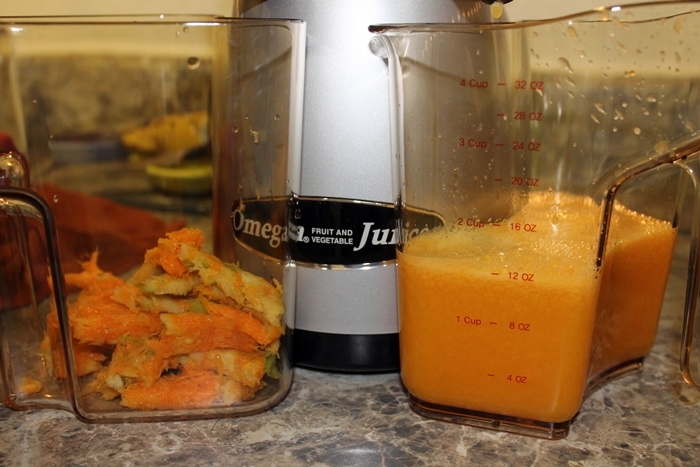 I have a feeling our neighbors will unknowingly appreciate the juicer. 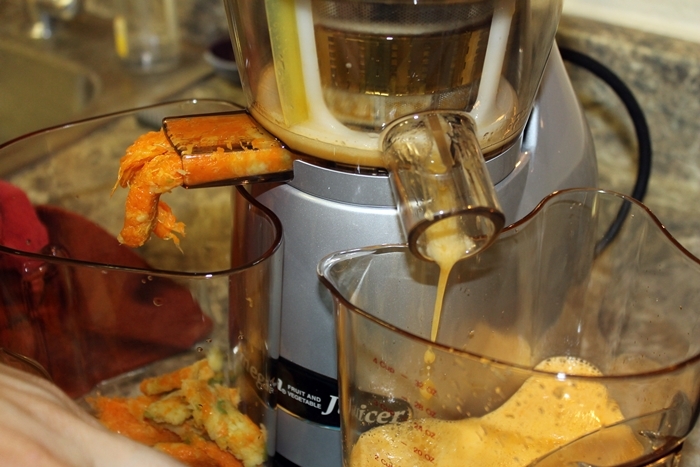 I hope to write some follow up posts to highlight our juicing and blending exploits down the road. Oh, and lastly, the juice above was not anything fancy but it was amazing.